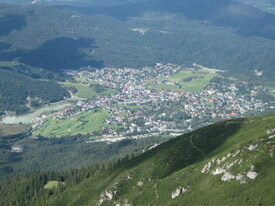 Seefeld, Tirol is a charming place for a summer visit for anyone attracted to outdoor activities such as hiking, walking tours, swimming and cycling. The Hotel Seefelderhof offers a homelike atmosphere with amenities to make a holiday relaxing and easy. It is family friendly with a games room and early meals available with a children’s menu. The pool is indoors as well as partly in the well-kept garden. Part of the area around Wildsee Lake has a beautiful pedestrian centre where visitors can trek, swim, walk or enjoy the summer sun. Some of the areas around the lake are protected so it has retained much of its natural beauty. On the western side of the lake is the Café Wildmoos and on the eastern side is the Strandbad. These are the two places for private swimming and sunbathing as well as pedalos rentals. 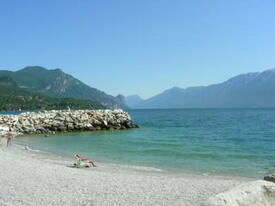 Lake Garda is the largest lake in Italy and a popular holiday destination for relaxation and outdoor mountain activities. The Piroscafo Hotel, Desenzano is a Bed and Breakfast just 50 metres from the lake shore and near cafes, restaurants and pizzerias. Desenzano is the centre of the exciting night life of the southern Lake Garda area. It also boasts a UNESCO World Heritage site with prehistoric pile-dwellings. There is a beautiful view of the Alps from the town and panoramic views form the Desenzano castle. There is a Roman Villa and a 16th century cathedral with the Last Supper by Tiepolo. Visitors enjoy cycling, sailing, walking, tennis and many water sports. Lake Lucerne, Switzerland, has an irregular shape is appears to be several lakes rather than one large lake. It has some of the most beautiful alpine scenery in the world with mountains descending straight into the water in some places and small mountain peninsulas in others. Lake Lucerne has some of the oldest settlements in Switzerland on its shores, and it is a magnet for people looking for outdoor activities during the summer. 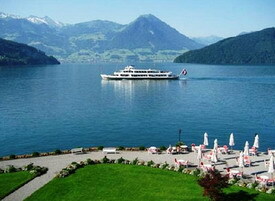 The Hotel Rigi in Vitznau offers a friendly atmosphere and comfortable accommodation for visitors. It also offers a free walking tour of Lucerne and a free scenic boat trip for guests who stay more than seven nights. There are walking trails and mountain hikes on Mount Rigi that are well marked and maintained. The hotel offers a buffet breakfast and caters to vegetarians and vegan guests. There is a four course meal in the evening.